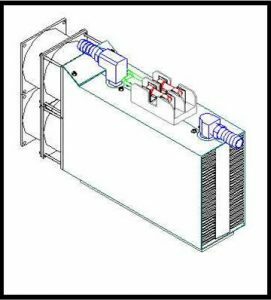 Electronics cooling is different from most industrial applications. Acrolab supports the electronics cooling sector with multiple products and services. We can work with your team to supply thermal services and components for your electronics cooling applications. Whether you are spreading heat or trying to remove it altogether, Acrolab engineers can give you recommendations for your application. What Can Acrolab Offer For Your Electronics Application? Make your project as turnkey as you want it to be, or choose one or all of the services below. 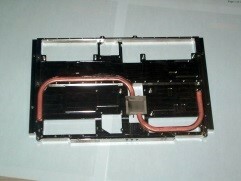 Electronics cooling Isobar heat pipe for space. 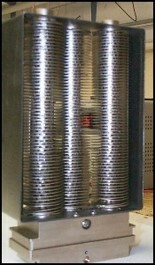 There are many options when looking at how to assemble a cooling source, such as an Isobar heat pipe, to a heat source. An application is typically constrained by a number of factors, such as customer requirements and space constraints. Discuss the details with an Acrolab thermal expert. For surface to surface contact, it is important to note is it is key to have an intimate contact between the heat source and cooling source. Sometimes this is not always possible because an adhesive may have to be used, such as an epoxy. An intimate contact connection can be any number of methods such as mechanical fastening. A trick to improving thermal transfer when utilizing this type of connection method is to ensure that the surfaces are as smooth as possible. A specific example of this would be two machined surfaces that are mating together. Ensure that these surfaces are machined as smooth as possible. If you are using a T.I.M (thermal interface material) be sure to review the many options you have available to you. There are films, solders, epoxy’s, and more that can suit your specific needs. Many electronics cooling applications call for removal of heat from a specific location or source. A typical and proven method to solve this issue is to utilize an Isobar heat pipe. 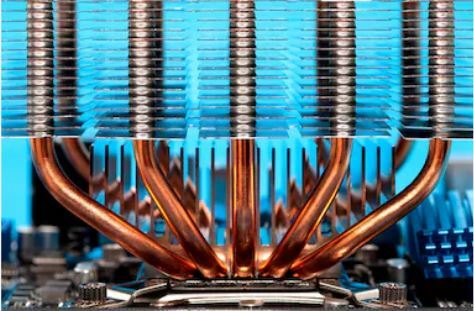 An Isobar heat pipe works as a super thermal conductor which can move heat energy up to 250X faster than copper or aluminum. Thermal interface materials can be used to spread heat fairly effectively. There are a number of different materials that come as a film on the market these day. Some graphite or carbon materials can obtain thermal conductivity values of 50W/mk or more. To ensure you choose the best T.I.M for your application be sure to do research on all the types and styles available in the market today.